Connectivity is one of the main pillars that are defining life in the 21st century. The level of depth that connectivity defines our routines in this century is truly astonishing. With a particular boost after the first decade of the century, we have developed not only habits, but entirely new jobs, industries, lifestyles and daily tasks which either revolve around the internet fast connection, or are born precisely because of these developments in connectivity. Having a small device in your hands (which, is still unsuitably called a “phone”) with exponentially more processing power than the entire Apollo 11 mission, which provides you the world’s knowledge in the palm of your hands, and with instant and either free or very cheap video-calls at your fingertips (or even cooler, with your voice commands), was pure sci-fi not that long ago!If you are reading this article and still remember chat rooms, or MSN as one of the first instant messaging platforms, you know exactly what we mean. The name “5G”, following its predecessors, stands for “5th generation of mobile telecommunications technology,” and it has been a long way since what one can imagine was once “1G”. For those of you who can remember, 1G was the analog connection used by those big bumpy cellular phones – the first of their kind that could be carried and used without a cord. Fast forward to 2G (because there were several technologies that replaced the 1G radio waves before 2G) which enabled us to send text messages, and the real revolution started not that long ago with 3G, which made possible for a cellular phone to connect to the web faster. 5G and Smart City Technology among other benefits can help cities function more efficiently, while enhancing services to businesses and citizens, sustainability and economic development. It will benefit city governance, education, transportation, healthcare, building management and more. The main difference between 4G and the upcoming 5G, in technical terms, is the wavelength that 5G utilizes. They are previously inaccessible high-frequency millimeter radio waves between 30 and 300 GHz. Known as “mm-Waves”, they have not been used in the past due to high costs, a lack of practicality and strict government regulation. Millimeter waves are grouped tighter, at a significantly more compact capacity than the standard sub-5 GHz radio waves used currently. However, the downside of using these new network waves, which allow for great speed, is that their higher frequencies have more difficulty to penetrate objects. 2.4 GHz WiFi is best for a home environment, while 5 GHz is best to operate in high speeds in an optimal network environment. The 5G evolution, which will create the advanced infrastructure needed for smart cities, has reached a very promising stage.In the not-too-distant future, our cities will be smarter, cleaner, and safer places to live. 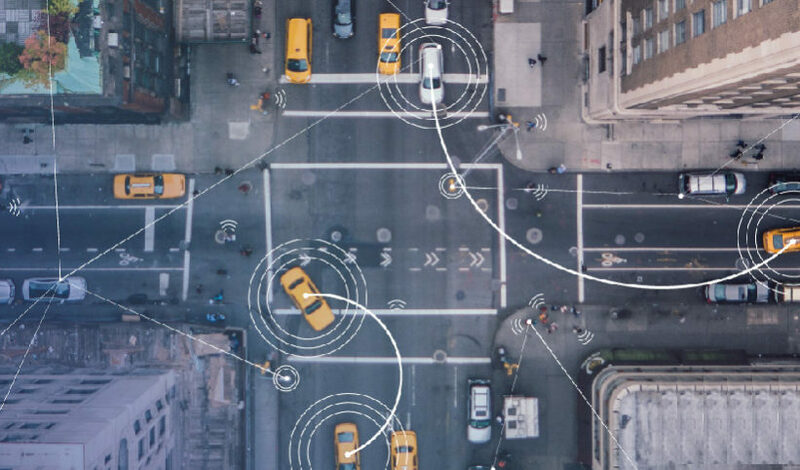 Many cities are now becoming smarter and implementing strategies to address and explore the efforts to improve mobility, healthcare, public safety, and productivity. It’s no surprise that the move to 5G is accelerating, but certainly, 5G can’t exist alone, so other technologies introduced both before and after 5G, will make the smart cities possible. Cities and towns which are first to embrace this development will see the ultimate benefit, while slow adopters will be less competitive.